The notebook PC market develops the most rapidly these days. All analytical researches show that the growth of the mobile PC sector exceeds the rate of sales of desktop PCs and is one of the highest in the IT industry. There are currently two evident tendencies on the notebook PC market. The first one reflects the growth of DTR (Desktop replacement) solutions. 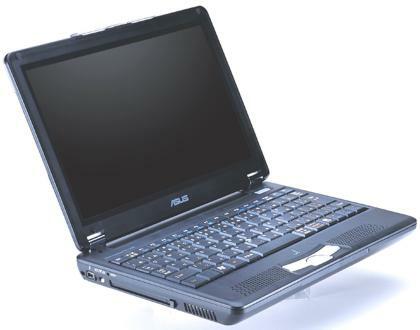 Inexpensive LCDs and high-performance components for mobile PCs make such notebooks equal to desktops in functionality and sometimes even in price. At the same time, a stylish notebook doesn't take much space on your desk. Moreover, it's easy to solve the problem of information security as you can easily hide such computer into a safe. Such products can hardly be called mobile as they often weigh over 3 kg, has a matrix over 16", a powerful desktop-type processor, high-performance graphics and all possible interfaces. However, large dimensions and weight are not an obstacle for such notebooks, and they often press traditional desktop PCs out of managers' and engineers' offices. Such model can be an ideal home multimedia computer too: it takes much less space when folded up. A recharable battery is bundled as replacement of a power supply unit. Another market sector is formed by pure mobile systems. The main advantage of such class of notebooks is to be always at hand and make operation as comfortable as possible. The key purpose of such system is to ensure high performance and small weight, sometimes at the expense of offline operation support. The key features of the ultra-portable solutions is a smaller-size keyboard, a 12.1" or smaller diagonal and a hard drive (among all storage devices); all the rest can go as external peripherals. The most typical processors for such devices are LV/ULV Pentium III-M which are to leave the scene soon, and the LV/ULV Pentium M. The Transmeta Efficeon will be the most typical example of such systems; the first notebooks based on them appeared at the end of 2003. A more modest approach is production of slim and light notebooks to provide the acceptable weight, performance and ease of handling. Dimensions of such models depend on the matrix, and the only variable parameter is thickness. In spite of the variety of portable PCs this class of models remains the most popular. Last year such notebooks acquired the Intel Centrino technology, and now all of them feature the Wi-Fi interface. IDC's polls carried out among owners of notebooks indicate that 70% of them want their next notebook with the WLAN support. According to IDC the notebooks with the integrated WLAN interface will cover about 95% of the market. The number of models with 15" displays is rapidly growing up. According to the Taiwanese analysts, the volumes of 15" notebooks deliveried approached 50% yet in Q4 2003, mostly at the expense of slim and consumer notebooks. The price difference between 14.1" and 15" LCDs is quickly narrowing: by the year-end it came to $10 - $15, and this year it can even drop below $10. One more factor influenced the growth of demand for 15" notebook PCs was the increase of popularity of consumer goods in contrast to the corporate market. The correlation of sales of 14.1" and 15" notebooks is predicted to be 2:8 on the consumer market. Acer has reached 3:7 already, and some second-echelon mnufacturers that focus on deliveries for the European market sell 80% - 90% of 15" notebooks. Another interesting type of computers is Tablet PCs. They add some useful functions to an ordinary mobile PC. The analysts were very sceptical about development of this market sector yet at the end of 2002, and the world sales volumes proved it. The retail prices for Tablet PCs remain high. By the end of 2003 the prices for some models dropped to $1,000; that is why the market can even start expanding. One more reason for such low sales volumes is that Microsoft, the key "sponsor" of the Tablet PC idea, hasn't yet provided the sufficient support for the manufacturers. Tablet PCs are niche PCs rather than everyday ones. The most consistent players on this market are Acer and Fujitsu. Now a few words on modern notebook components and prospects of their development. There are no strict limitations for processors used for DTR computers: they can have even ordinary desctop-type CPUs. Currently, such notebooks use almost all processors of the Pentium 4-M and Intel Pentium 4 lines up to Pentium 4 XE. AMD has recently released the AMD64 line which includes special DTR versions of the Athlon 64 chips and fully supports the Cool'n'Quiet technology (dynamically changing clock speed and voltage). However, we can't say that AMD64 based notebooks are that popular. Most probably, they will spread more widely when more power-saving versions come on to the scene, by the second half of 2004. The situation on the market of pure notebook PCs looks more interesting. The manufacturers tend to balance performance and battery run-time. The key platform of such market is Intel Centrino released in spring last year. Within two-three quarters the current Centrino version will be replaced with the secodn one which will cover Intel Pentium M processors with the new Dothan core, the Montara (i855) chipsets will be substitured for Alviso, and the Intel Pro/Wireless 2100 interface will be replaced with Calexico 2 chipset supporting IEEE 802.11 a/b/g/i and WPA v2 standards. Moreover, with the inexpensive Celeron M processors launched in January the Intel Centrino platform will soon start penetrating the sector of inexpensive notebooks. The production of mobile Pentium III-M chips will be reduced and probably completely stopped by the end of 2004. The Pentium 4-M series is going to be produced and supported further; it seems that the demand for them is still high. Graphic subsystems of notebooks were one of the bottlenecks some time ago. At present there are two directions of their development. The first one is chipset intergrated graphic controllers. A part of RAM is used in this case as video memory. The advantage of such approach is low price and power consumption at the performance level sufficeint for comfortable work in most applications. The weak side is low 3D graphics performance. To solve these problems the leading graphics chip makers, ATI and NVIDIA, developed mobile versions of their products. However, the mobile graphics hasn't caught up with the desktop performance because of power consumption, and mobile controllers are deprived of some features. The audio systems also keep up the pace. However, the portable design doesn't allow for solid audio system without using external devices. That is why most latest notebooks have an optical digital S/PDIF out so that a user could connect a 5.1-channel sound with an external decoder/amplifier. The growth of volumes and rotational speeds couldn't pass by mobile PCs. The size of 40, 60 or 80 GB is standard for many models. There are notebook-type disc drives with the spindle speed of 5400 rpm or even 7200 rpm. However, higher performance inevitably tell upon power consumption. The trends of 2003 indicate that 1.8" hard drives will get much more popular this year since they have already reached the acceptable size of 40 GB. The Serial ATA interface standard will also continue penetrating this market sector. Optical drives are on the evolutional way to standardization. Since it's impossible to find room for more than one drive in a notebook, combined DVD/CD-RW drives are now often installed into such computers. Some models feature DVD recorders, but they will become widely popular only in a couple of years. The range of media types supported by notebooks is expanding. Although you can connect a Card Reader to any such computer to use media type you want, it remains an external device which you have to take with you. That is why mobile systems often have integrated support for some or other media. The global trend in the sphere of communications is wireless standards development. Intel emphasizes that wireless means are an integral part of the Centrino platform. The need to connect a cable devalues the concept of mobility. Ideally, every user must have a possibility to work in a car, at an air port or a cafe like in an office. The number of new successful engineering solutions is so great that it would take a while only to list them. This time I will only describe those I liked mot of all. Last spring ASUSTeK Computer released S200 mini notebook with the 8.9" display and ULV Pentium-III. This baby houses a full-function PC which doesn't yield to its bigger brothers. By the end of summer the company launched S200N, updated S200 which is based on the Intel Centrino technology. The S200N line is based on the components traditional or Centrino: 1Ghz ULV Intel Pentium M, i855GM + ICH4 and Intel PRO/Wireless 2100 adapter. A typical configuration includes a 8.9" LPTS (Low Temperature Poli-Si) display of 1024 x 600, 256 MB RAM, and 40 GB hard drive. The S200N can run up to 5.3 hours from battery. Also, it has USB 2.0, IEEE 1394, LAN ports and a VGA out. One more useful feature of the S200N is the hardware WLAN switch which can be of help in places such as hospital or air port where LAN communication may be forbidden. Note that all such features are housed in the notebook measuring 225 x 152 x 27.8 mm and weighing 905 g (battery included). This notebook was followed by many similar solutions but we remember the ASUS S200N as the first portable PC based on the Centrino technology of such size. 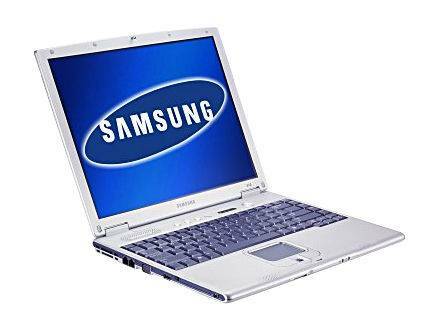 The Centrino based Samsung X10 notebook was launched on our market in spring 2003. The X10 line is based on the Intel Pentium M, features a 14.1" LCD, NVIDIA GeForce 4 Go 440 graphics with 64 MB memory, and a DVD/CD-RW drive. Also, they are equipped with the Wi-Fi 802.11b interface in a standard package and optionally with the Bluetooth interface. The Samsung X10 has a full set of interfaces: IEEE 1394, USB 2.0, video-out, CompactFlash and Memory Stick slots, optical S/PDIF port, V.90 modem, 100 base T LAN; user authentification is based on the fingerprint analysis. The notebook is only 23.8 mm thin and weighs 1.8 kg. The standard battery can maintain notebootk's operation over 2 hours, and the greater one up to 4.5 hours. By the year-end Samsung extended the line with the X15 which has a 15" LCD. Yet in 2002 the analysts prediceted the pricecuts to $500 for notebooks, but it didn't happen. It was not only because of the Centrino triumph or unwillingness of the notebook makers to lose extra income. There are some more factors like the price increase for LCD panels in the second half of 2003. The steady price-cutting for traditional models, very low prices for second-hand solutions, arrival of new curious notebooks with wide-format, large displays and multiple interfaces indicate that the era of portable PCs is in full swing.